I would like to share some thoughts about how we can hear the Holy Spirit and follow Him. I will describe my personal experience, and I think it will help some of you, dear Koinonia. I can say personally about myself that I have always felt a lot in the Spirit, in the spiritual realm where I was, but I have not always understood what to do with what I felt. Particularly, I wanted to know what I felt personally for myself, what I had for others, and how I could release what I felt. I will give a simple example. If I feel that the Holy Spirit touches me and my emotions join in; [if] I feel overwhelmed, and I am broken, then for me it means that the Holy Spirit wants to talk to me personally. He wants to do His work inside of me. In this case, I just spend time with Him, and I don’t focus on releasing anything to anybody. I know that the Lord ministers to me at this time, and I accept it. 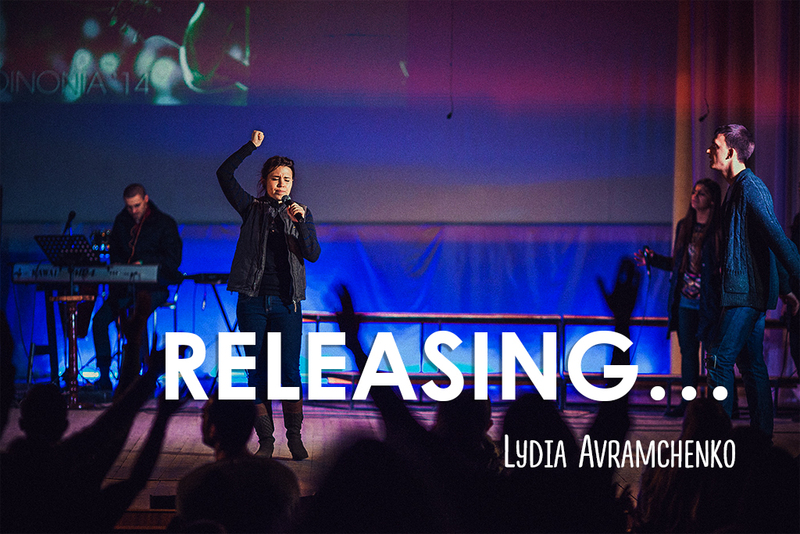 When the time comes to release something for others, either at the service, or on the street for some stranger, etc., the Lord gives us grace for that. I mean, “. . . God who is at work in you, both to will and to work for [His] good pleasure” (Phil 2:13). If we look deeper into the meaning of the word “grace,” we can see that He releases power in action through grace—meaning that grace gives the ability for everything we feel to be released in some form, and His power will be in it. When the Holy Spirit tells me to do something, it can be compared to a bulb that flashes on over your head; that’s when some thought or idea appears. All the senses escalate; a clear understanding of what needs to be done now comes. To start singing some phrase, to come up to a person and say some particular words, or to ask something—there are a lot of variants, and every case is individual. Mainly, I am waiting for a clear understanding of what I should do, and only then do I do it. It may not be the whole picture of what will be happening, but the first step you should start releasing comes with clear understanding. If I walk on the street, and I see a man, and I understand what he is feeling now, what he is thinking of, and what is happening with him—but I don’t get what exactly I am supposed to do for him, then I just pray for this person in my mind and bless him. Although if I see a man, and I clearly understand what I am supposed to do for him, then this first step of obedience should be taken. Mainly, I feel only what the first step should be, and I never know what will happen next. But as soon as the first step of obedience is made, the time comes also for the next ones. Those are simple things, but the understanding of it brought me balance and set me free from self-condemnation. There were a lot of situations when [I was] walking on the street [and] I would start feeling literally every person—and [when I did not do] anything with what I felt, the self-condemnation would come. Only when I began to discern why different feelings came and . . . made the steps of obedience, trusting the Lord who is inside of me, [did I feel] much easier. But we should not forget that everything comes with practice, and the only way to perfect the ability of listening of His voice is taking new steps and making new attempts to hit the target. Thus, we will also miss [the target]. Although love doesn’t fail, so everything done in love will find its target, even if one initially missed the target.